Discovery Litigation Solutions goes beyond providing the minimum to supercede your expectations. We will equipped you with all of the resources you need to win your verdict. We’ll provide a team to assist in the courtroom, mediation or arbitration as an active member of your team. You’ll have the powerhouse solutions of Discovery Litigation Services at your fingertips. Let us remove the guesswork and give you peace of mind knowing you have the best litigation services available to you. Discovery Litigation Services will deliver to you the most qualified court reporter. We understand the importance of getting it done right. In our business, there is no margin for error. 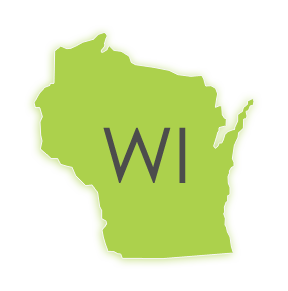 Through our advanced video enabled streaming court reporting solution you’ll have the best Wisconsin court reporters at your disposal. You’re just a few clicks away from Discovery Litigation Services handling all of the grunt work. Putting our realtime ready Wisconsin court reporter on your team is the first step in boosting your efficiency and taking back the hours in your day. A realtime court reporter provides you with an on the spot transcript of the proceedings as it unfolds. Translating from the shorthand of the stenotype into intelligible language on your screen is a powerful time amplifying service. What Are The Benefits Of Wisconsin Court Reporting With Discovery Litigation Services? Discovery Litigation Services had more at its disposal than a single freelance court reporter. Connections, expertise, a staff of experienced professionals, technological knowhow. Hiring a single freelance court reporter gets you just that; a single freelance court reporter. Hiring Discovery Litigation Services gets you a court reporter and everything else you could possibly need for your deposition. With a one-off freelance court reporter, you are still on the hook for filling every other role and coordinating putting all of the pieces together for the deposition. Enlisting the services of Discovery, you get more than a one-off service. You get a comprehensive solution. Just by uploading your deposition notice you’re putting the full force of Discovery Litigation Services’ team behind you. From coordinating schedules, providing court reporters, interpreters, and even building out your repository and pulling all deposition materials together in a trial ready format to live streaming the deposition to remote parties. Discovery offers the complete package. With Discovery, you get a professionalism, expertise, and redundancy. Losing individuals due to scheduling conflicts and illness can threaten the success of your case. It provides unnecessary obstacles and is absolutely avoidable. Discovery Litigation Services’ extensive network provides you security in knowing you’ll have that court reporter, that document review attorney, and that videographer you need when you need them. How Do I Get A Real Time Ready Wisconsin Court Reporter? As a Discovery Litigation Services client you will benefit from our stellar performance, friendly experienced court reporters and management, while we negotiate our rolodex of eBilling companies to ensure your back office requirements are met. In over twenty years of on the job experience we have amassed a thorough network of connections that we are happy to tap on your behalf to ensure no stone is left unturned in getting you exactly what you need at the right price. We operate on your behalf and within your best interest. When you put Discovery on your side you’re enlisting an entire team of professionals to further your efforts. You’re boosting your reach beyond the average to employ the best court reporters, videographers, and legal experts for your case. Discovery is more than a service provider, we are a web of effectiveness. We are an instant army at your disposal.